Don’t like to have pigeon peas in your dish? 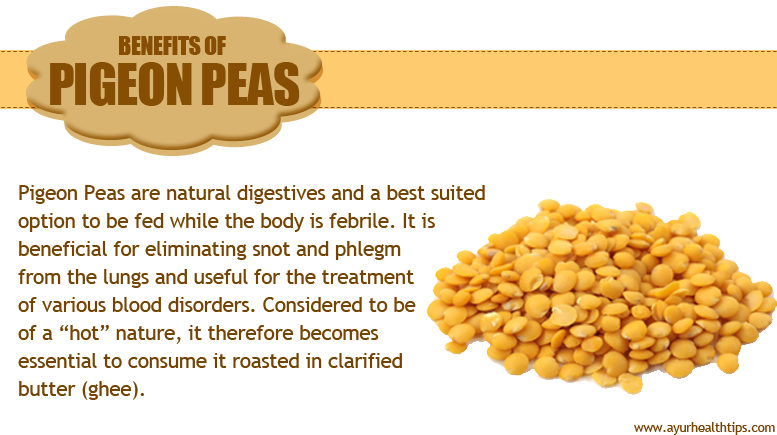 No problem, reading these major health benefits of pigeon peas or toor dal will give you a reason why you should add it in your diet. Flattened on one side and oblong in shape, Pigeon Peas (Toor Dal) is used widely in the Indian subcontinent. Commonly Split and skinned Pigeon Peas are also called as “Arhar Dal or Tuvar Dal”. Also called split toor dal in some other parts of the country, it has deep rooted origins in eastern India. It is both a food crop and cover crop. ‘Toor dal’ is one of the most common dishes made in the Indian households. While you may relish this dish with a steaming bowl of rice, the mild and creamy flavour will make this dish your favourite. Most commonly, the skin less and split pea’s variety is used. With a greenish brown colour with the skin on it and a yellow colour without the skin, it has to be soaked in water for about ten minutes before you wish to cook it. It generally takes a bit longer than the other dals to cook. While you may roast it nicely, but in India a pressure cooker is the magic whistle that cooks the dal in ten minutes flat. Add it to vegetables as dried peas. The children love the ground flour variety as well. A perfect combination with cereals can be made for a balanced diet fulfilling all the nutritious requirements of the body. Add it to the salads and increase the crunch with the salad leaves. One of the most common dishes of the south Indian Cuisine, the mouth- watering Sambhar is also made of Arhar. Another thing that you need to be trying is the Gujrati dal to become a fan of this dish! The sombre and tasty Arhar helps the body in many ways due to its reserves of amino acids and proteins. It helps in preventing cancer and lowers the cholesterol levels of the body. Good in fibre and thus beneficial for the digestive system and releases constipation. Also considered to be valuable for the lungs and phlegm, Arhar also helps in alleviating many circulatory disorders. 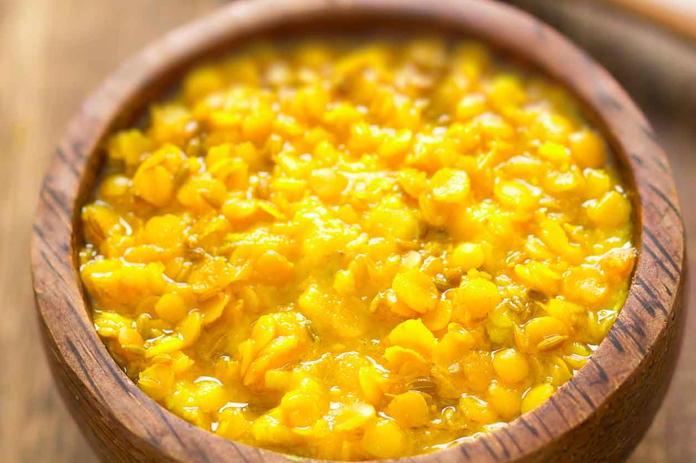 Besides it, Toor Dal is a great source of folic acid which help in reducing the chances of neural tube birth defects like spina bifida in pregnant women. According to United States Department of Agriculture, beans like toor dal are great low fat sources for protein and fiber. If you are willing to reduce your meat consumption or simply you are a vegetarian then legumes like pigeon peas are great source for protein. Toor dal contains complex carbohydrates, highly recommended when you are feeling low in energy. Consumption of healthy complex carbohydrates will make you feel more energetic. A Fact You Should Know! Toor Dal or Pigeon Peas are the oldest crop on the earth with cultivation that started around 3500 years ago. Today around 4.3 million pounds of pigeon peas is produced worldwide and out of this figure a total to 82% is exported from India. Pigeon Peas are light and wonderful members of the family of pulses, the richest source of proteins with many health benefits.